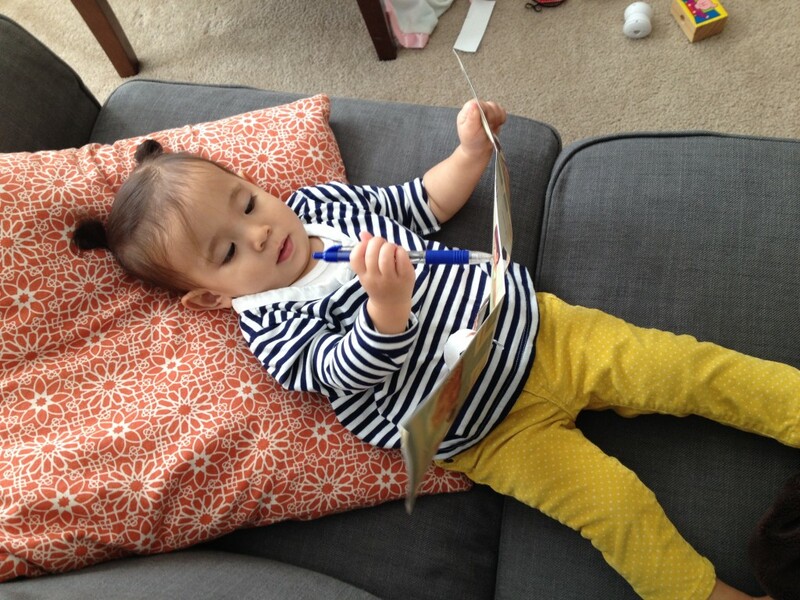 This is how I found our kiddo one morning relaxing on the sofa drawing. 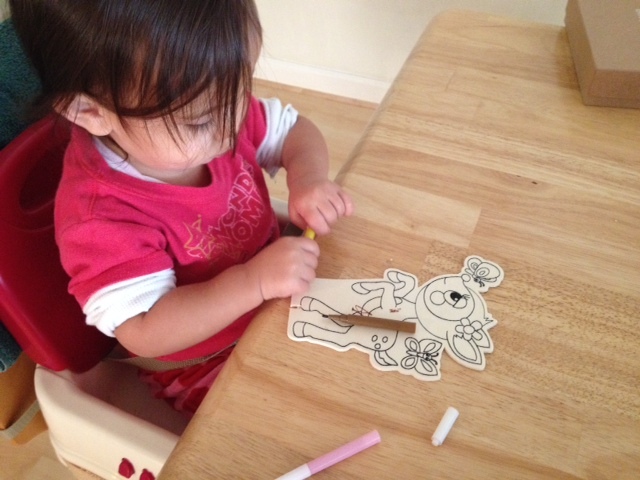 One afternoon doing a craft project of coloring Bambi. Being very attentive at the sign-along at the park. 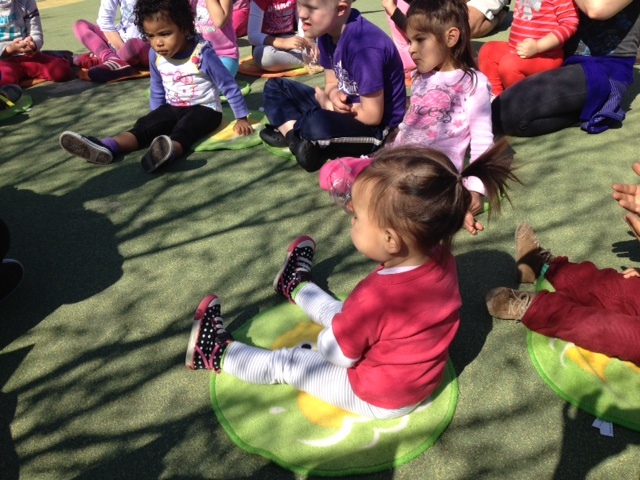 This little girl loves music! Hey Guys! I wanted to share with you our preparation for our latest trip to Hawaii on entertaining a toddler on an airplane. Though this was Nola’s 7th trip (14th flight) this by no means makes us pros on this matter. 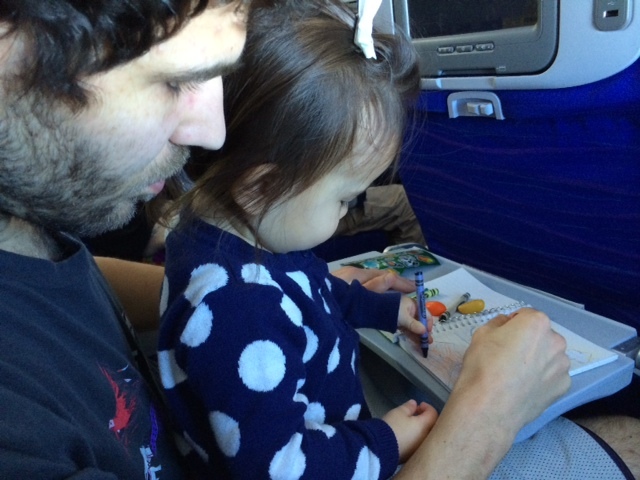 Each time we fly she’s at a different age and there’s new strategies. But like any parent I love to hear thoughts and lessons learned from their experiences and that’s what I’m sharing with you today. To start off I think it’s probably best to go back to a previous trip we had taken with Nola and sitting in front of us was this girl maybe around 4 years old with her father. This dad was amazing with her and would make up stories, play games and just seemed like a genuinely thoughtful dad. Now I know comparing an infant to a 4 year old isn’t quite the same (not even close) but Nola was cranky and didn’t seem interested in any of the snacks or toys we brought along. 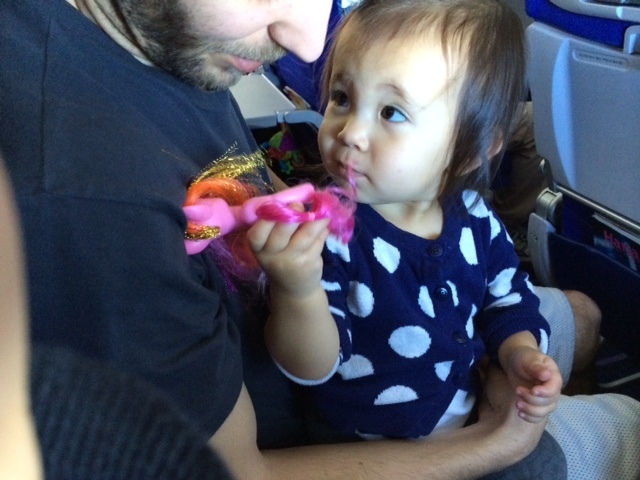 At this point this amazing dad encouraged his daughter to talk and play with Nola. On this flight I felt a couple of strong feelings, one this dad is incredible and i question being a parent (this thought only occurs on planes). At the end of the plane ride I even heard people mentioning how great this dad was, needless to say we were not even an honorary mention. So flash forward to preparing for this plane ride to Hawaii I was going to look at things differently and prepare like no one’s business. 1. Toys. This is an obvious one, but instead of just packing a few of her favorites this time I got a lot of inexpensive new toys. I went to the Dollar Store and Target and got stickers, crayons, coloring books, toy cars, slinky’s, puzzles, my little pony and a stuffed dog (she loves dogs so much). What I did was wrap them and gave her a new toy or activity to do each hour. I couldn’t wait to give Nola these little gifts and it made the trip fun for me!! 2. IPad. I made sure CJ had the IPad fully stocked with Games, TV shows and Movies. He bought episodes of Sesame Street, Thomas and Baby Einstein off of ITunes. 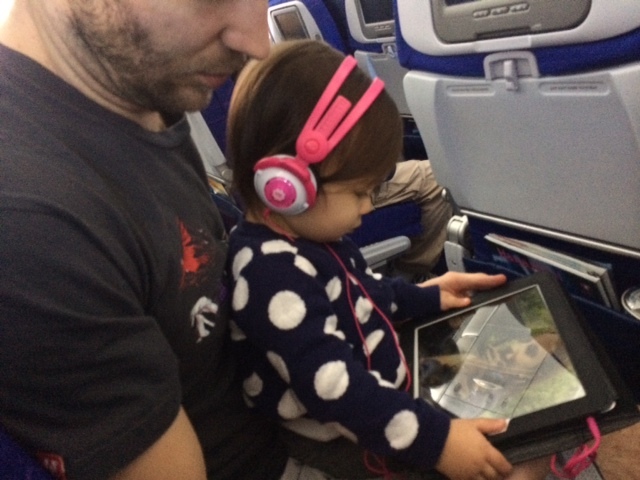 At home we try to monitor TV time, however when flying we highly encourage it. Sadly, or not depending how you look at it, Nola did not have a long attention span with the IPad. 3. Headphones. To get Nola excited about the IPad I had gotten her toddler headphones. These fit her great, but I probably should have gotten her used to them beforehand. I didn’t show her these until on the plane and she would just keep putting them off and on. 4. Snacks. Nola is just like me and loves to snack! I filled up a gallon ziplock bag with a variety of snacks and made sure she not only had options but that we wouldn’t run out. 5. Backpack. I got Nola this awesome backpack and actually had her get excited about it before the flight by having her wear it around the house. We put all her treats and toys in it and I have to say this was the perfect size! 7. Carseat. 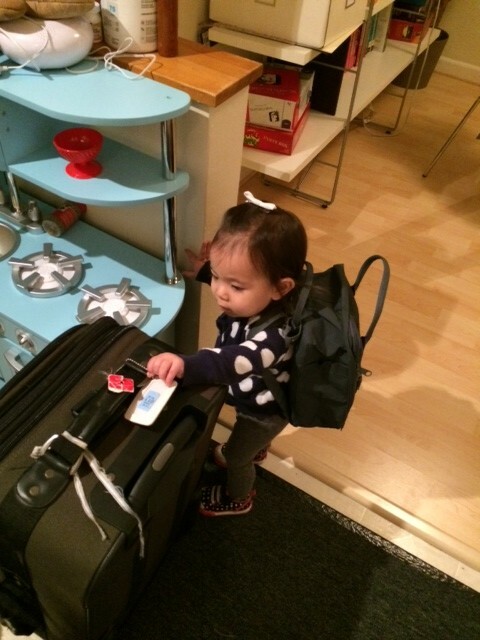 Since we were renting a car for a couple of days we had taken our carseat. I had done a lot of research on our carseat, and like most carseats it was expensive and I didn’t want it to get damaged when checking it in. After being reassured by friends that when traveling their carseats were fine, I got the Diono Travel Case and it worked great! I highly recommend buying a bag to protect the carseat, I’ve also seen people use garbage bags which works as well. 8. Airplane features. Nola loves to look at the safety brochure, magazines, play with the seatbelt, and loves drinking out of the plastic cups they give us for our beverages. We were flying Hawaiian Airlines which also serves a meal, so that again gave us another “activity”. I just try to use whatever is around us and be creative and excited about everything. That makes Nola think it’s neat and fun too!! 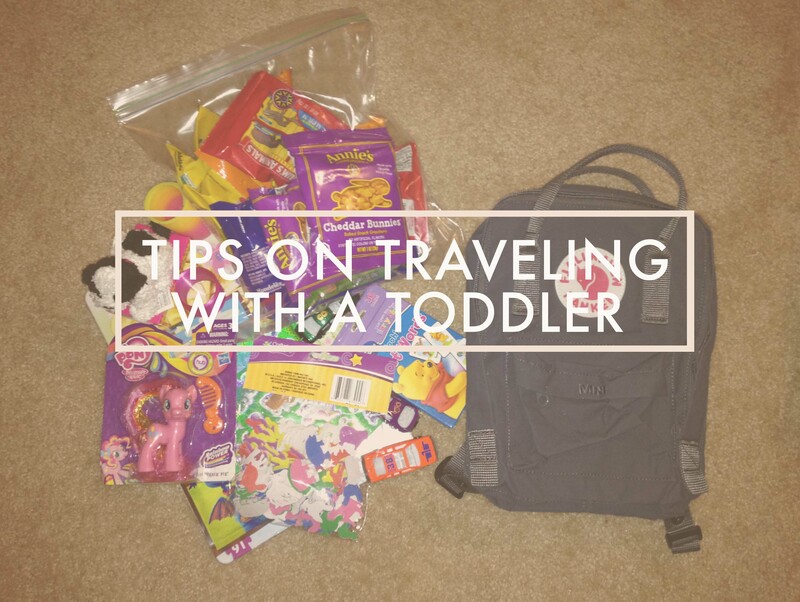 These tips are catered to a toddler so if you are planning to fly with an infant here’s a great post to look at! Nola did amazing on the flight to Hawaii but on the flight home she was exhausted from the activity filled vacation and very crabby. In our minds we thought Nola did terrible, but the woman behind us on the flight home told us she did just fine! huh?!? I think most parents think far worse of the situation and that was so sweet of her to reassure us. Or she was just feeding the crazies more nonsense. Whatever it is we will take it though! She also told us to enjoy this stage, happy or not happy toddler on a plane because before you know it they will be off to college. And isn’t that the truth! So regardless of how much I dread flying, I have to say these tips made it easier and more fun, and I wouldn’t want to go on these adventures without my kid! 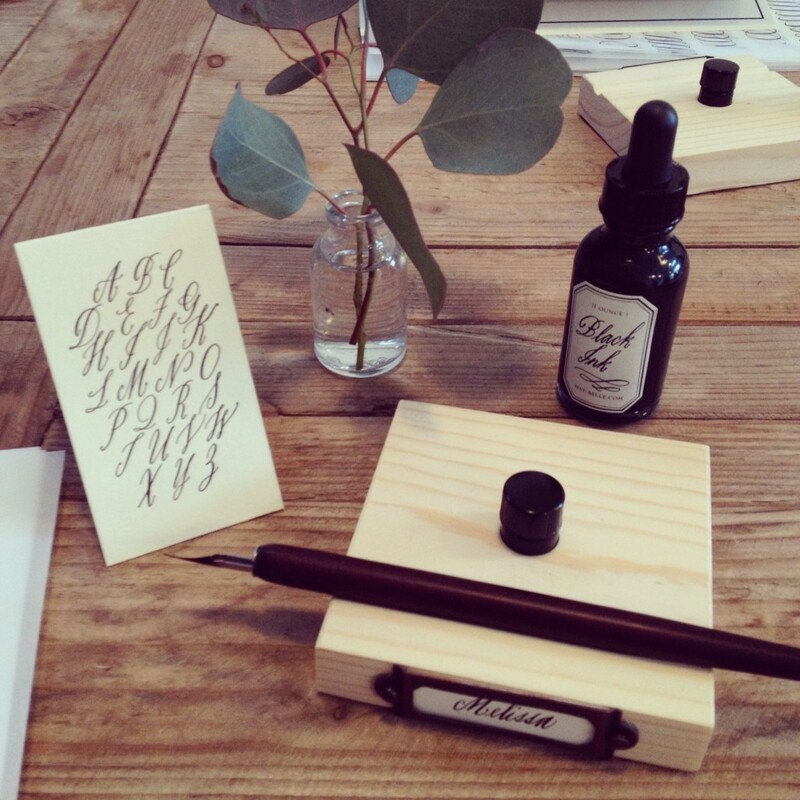 Something I did last month that I have always wanted to do was take a calligraphy class. I have always been drawn to beautiful fonts and so taking this class was such a dream! I took this class in San Francisco at Makeshift Society, which is an awesome co-working space and clubhouse for creative entrepreneurs. 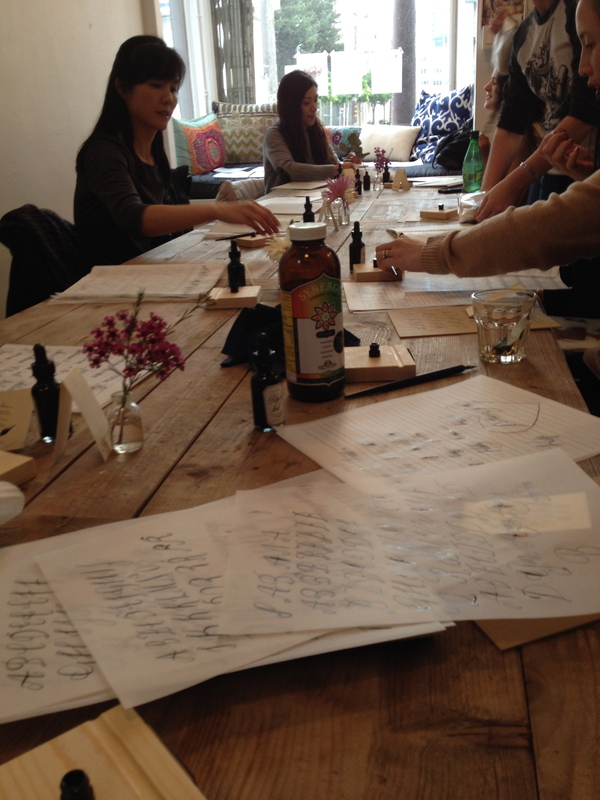 This class was 3 hours long and it was an introduction to the basics of contemporary calligraphy. The teacher was Maybelle Imasa-Stukuls, and she was the sweetest person and very informative. Her portfolio is pretty amazing and in the past she has collaborated with Martha Stewart Weddings (what a dream!!!). I can honestly say that writing calligraphy is calming and can be a therapeutic hobby. I try to get some time to work on it in between naps and other chores. I’ve tried to do it with Nola on my lap, one hand holding her and the other holding a fountain pen is less than ideal. Like everything in this world the key to success is practice, practice, practice! I hope one day it can seem more natural for me. Something I loved that Maybelle said during the class was that she purposely made her calligraphy look hand done. And isn’t that the truth? With all that you can do with computer’s these days it never can replace the prestige of doing something with your bare hands, be it calligraphy or any artwork for that matter. I think the desire and appeal to an original piece of artwork or anything handmade makes it so much more special and I think that idea is spreading and coming more mainstream, which I love. 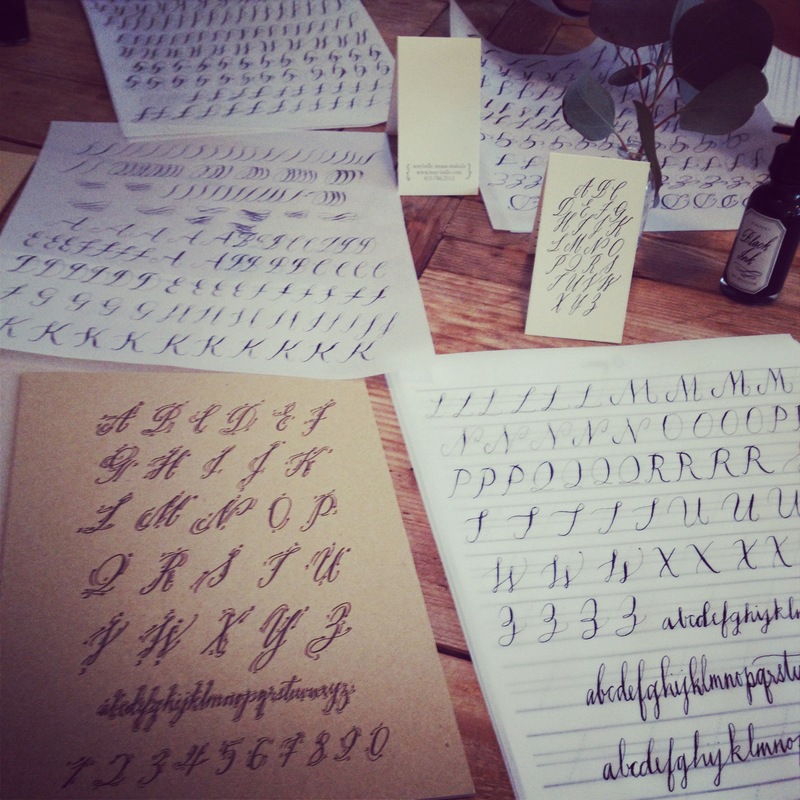 Something I am working on is taking the basic alphabet and making it my own style, which was suggested by Maybelle. Maybe someday you will receive in the mail a letter addressed in “missy’s personalized calligraphy.” That’s the hope anyways. Sometimes we often think we don’t have the time or money to take a class or do an activity you’ve always wanted to do, but I encourage you to do it! Or do what I did, this was my last year’s Mother’s Day’s gift (yes for me this was the best gift I could have wanted and sadly this was the first time I could get into the class!). As we are getting older I think it’s important to keep on learning and trying new things! nothing gets me more excited is a table sprawled with art. ironically this class had only burnettes, crazy!! one of my biggest inspirations these days is the artist Anne Bond owner of Rifle Paper Co.
Hey Friends! 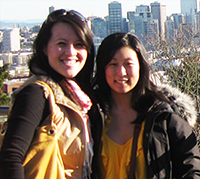 Man it feels like forever since I last blogged and so glad to say hi to you all again! I know it’s been awhile since typing along seems foreign to me! We just got back from a family vacation which was so great. Living far from family we tend to put our vacation time and resources on just visiting family (which is so important and don’t regret that at all). But decided going forward and since having Nola we are going to do a vacation with just our little family, someway, somehow once a year. These times go by so quick and want to make those memories! I heard someone say once that taking a vacation with a child should be called rather a “trip” vs. a “vacation.” I tend to agree since we are exhausted, but CJ and I also were able to relax (during nap times) and we had a LOT of fun too! Here are a couple of other things that we’ve been doing or been on my mind lately. – I read the Divergent Series recently and kind of obsessed. Just ask my husband. They made the first book into a movie and it is coming out today!! I remember the days when I could go to the Hunger Games and Harry Potter movies without a second thought, remember those days parents 🙂 Not to mention we also want to see the new Wes Anderson movie!! – Since our trip I have been trying hard to eat and prepare meals (some, not all) that are really healthy. Like kale, sweet potatoes, using coconut oil, buckwheat noodles, nothing processed frenzy. If you have any healthy recipes you like I’d love it if you shared them with me! – I know I keep saying “this age is the best” but truly 20 months is so much fun!!! I am having a blast with my girl. She’s my little buddy and being her mom has been my hardest but best job to date! – Lastly, my co-blogger and sweet friend is due anytime and can’t help but think of when Nola was born and how exciting this time is for them! Love you KV and can’t wait to see photos of your sweet baby!! 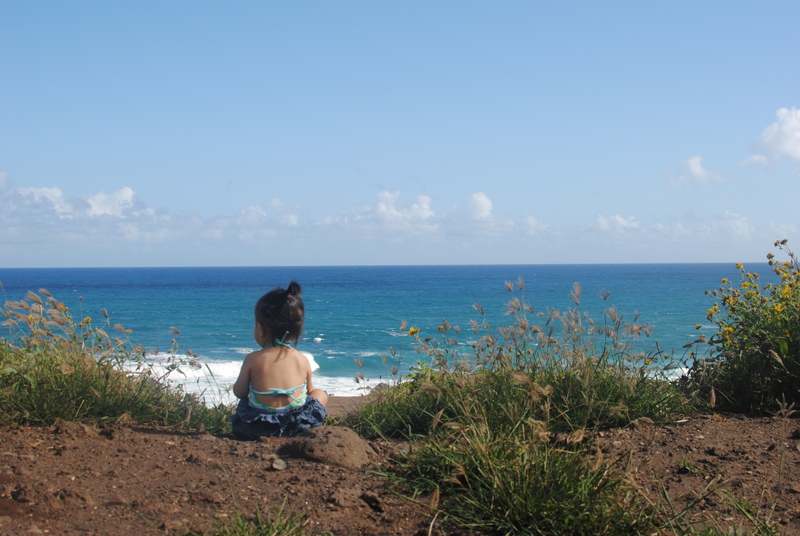 I plan to do a couple of posts on the trip in the near future, but until then here’s one of my most favorite photo’s of our sweet girl while going on a hike at Oahu’s North Shore. Hope you all have a great weekend!! Remember Missy’s post on Kid President last year? Here’s a new video, an open letter to babies on their first day on Earth. I love this kid and the SoulPancake creators.